The Governor's Cottage is the oldest house in Sorel-Tracy. 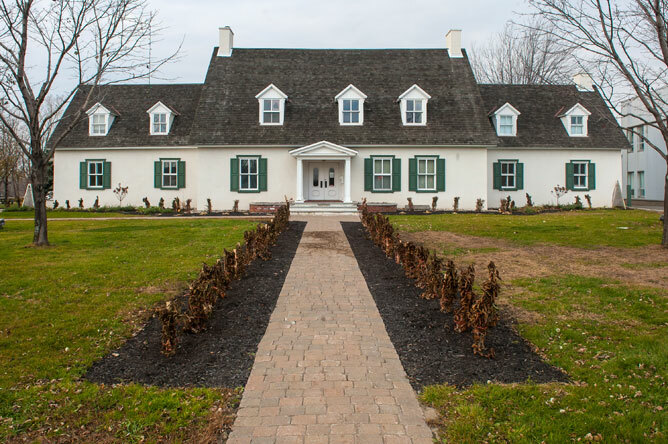 Lieutenant Colonel Frédérick Haldimand ordered its construction completed in 1781 to welcome General Riedesel, a German who had fought on the British side during the War of American Independence, and his wife and children. The Riedesel family celebrated Christmas in the traditional German way by decorating a fir tree with candles. This was the first Canadian Christmas tree. It became quite a sensation, and the custom quickly spread. 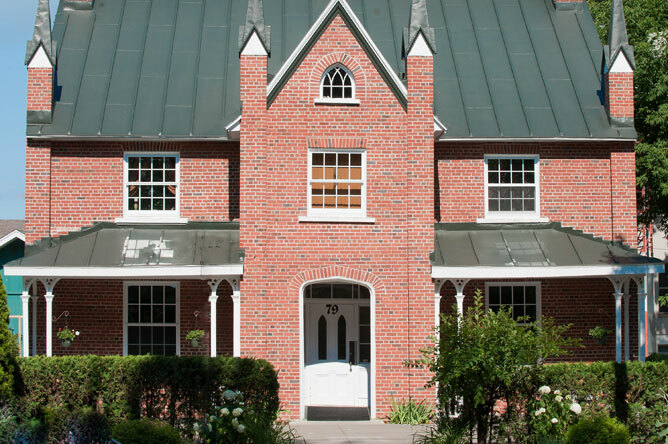 This stately house was recognized as a National Historic Site of Canada in 1957. The fourth Anglican ministry in Canada was founded in Sorel in 1784. 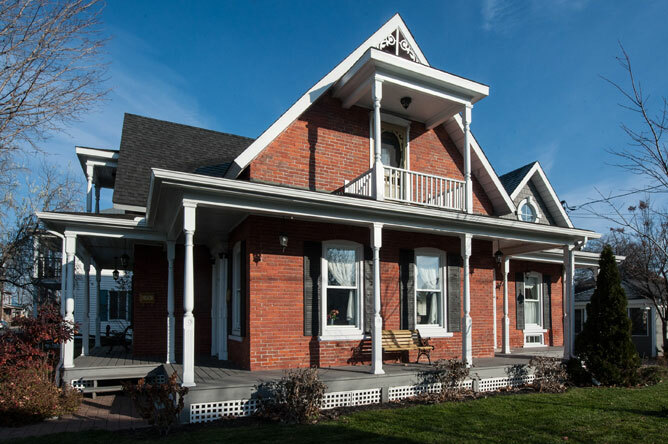 At the beginning, services were held in a spacious home at the intersection of Augusta and Du Roi streets. 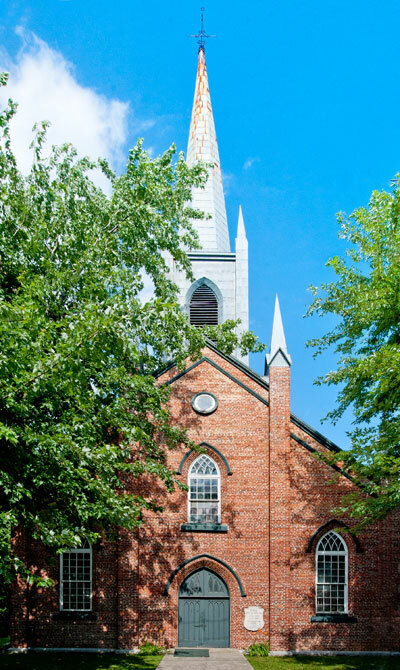 In 1790, the ministry moved to a new wooden church on Prince Street in front of the Royal Square. In 1843, this building was replaced with the existing brick church and rectory. The red bricks used for the church were produced in Sorel by a company owned by local entrepreneur James Sheppard. Christ Church and its rectory were declared historical monuments by the Quebec government in 1959. They bear witness to the presence of a significant Protestant community, especially in the period following the War of American Independence. In fact, Sorel became a haven for large numbers of Loyalists (American colonists who remained loyal to Great Britain) who emigrated from the United States after 1777. The sunset that evening was exceptional. 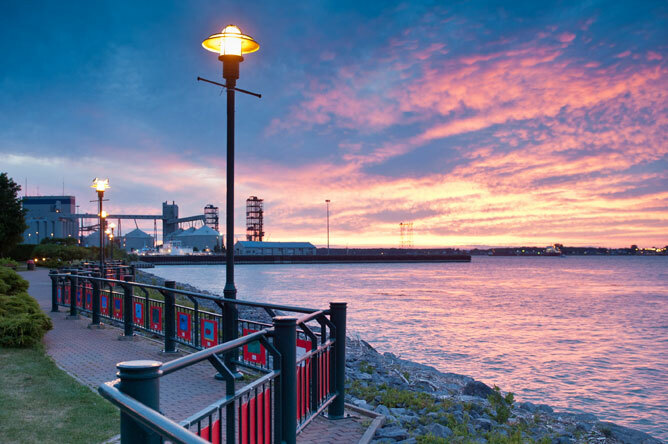 The docks of the little town of Sorel, nestled by the mouth of the Richelieu, were glowing gold. 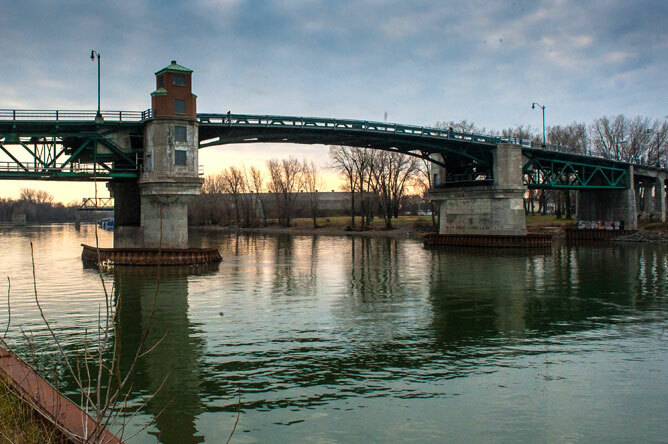 The Turcotte Bridge, built in 1932, spans the Richelieu at Sorel-Tracy. It is named after Joseph-Célestin-Avila Turcotte, who served on the municipal council of Sorel from 1921 to 1936 and as Member of the National Assembly for Richelieu from 1929 to 1939. The bridge's vertical-lift central span allows even the largest ships to access the Richelieu River. Visitors to Pointe-aux-Pins Park in Saint-Joseph-de-Sorel marvel at the majestic ships sailing on the St. Lawrence. 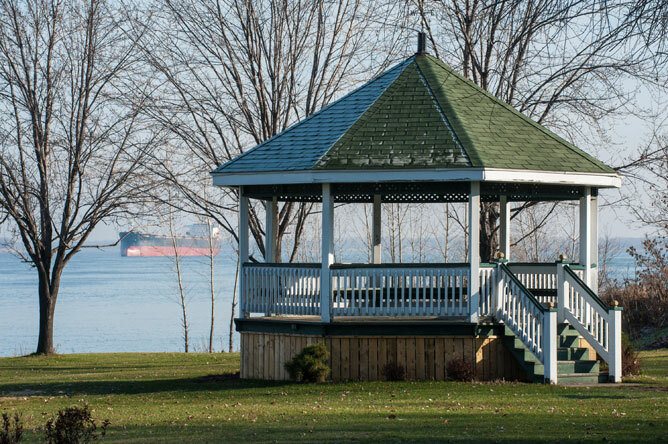 There are many peaceful spots in this industrial town at the confluence of the Richelieu and St. Lawrence Rivers, which was founded in 1875.